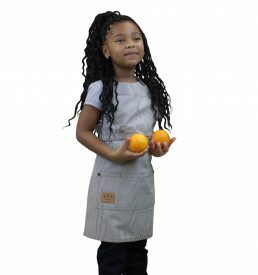 This 100% cotton Vintage Draper Denim kid’s chef’s apron is made to be worn in the kitchen, art studio, garden or shop. 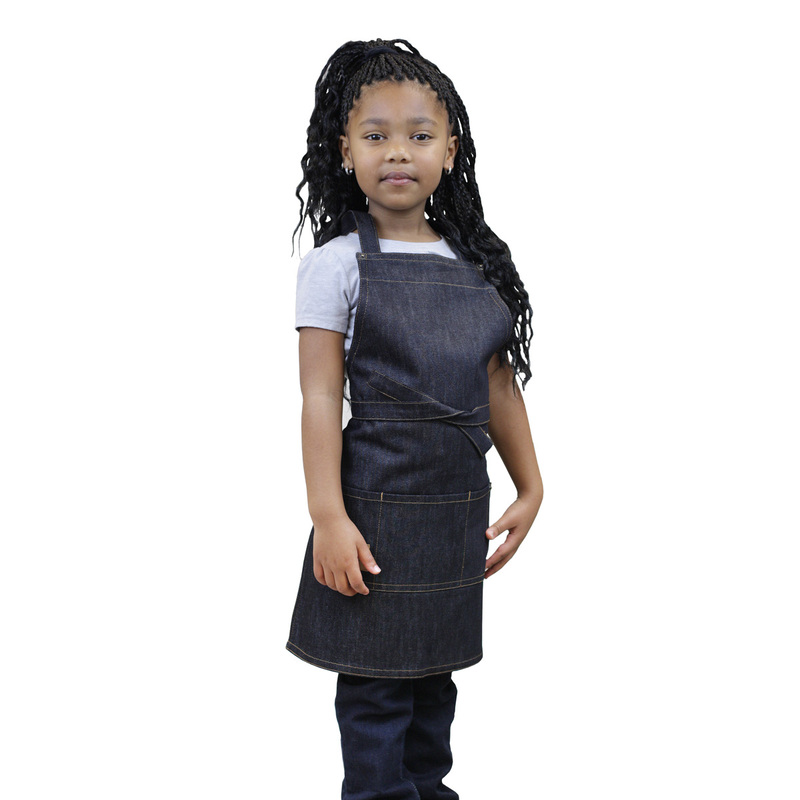 With updated denim styling and utilitarian, rugged feel these will last a lifetime! Three convenient pockets at the front will hold any kind of utensil or tools, and otherwise allow for countless applications. Adjustable ties at the waist, and adjustable Velcro closure at the neck will ensure a perfect fit. 24”L x 18”W. Machine wash and tumble dry for easy care.